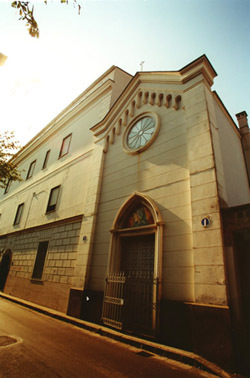 Situated in a panoramic position near the centre of Piano di Sorrento, this structure is managed by nuns. It is a nineteenth-century building. The wide garden is available for the clients for restful walks. 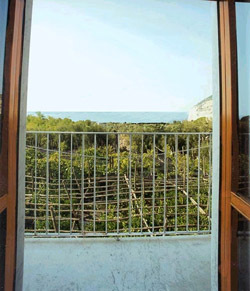 It is easily reachable by car on the arrival in Sorrento peninsula and it is close to the train station. This building has 19 rooms, located on two floors with lift. 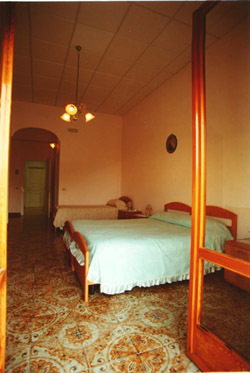 Every room has a telephone, bathroom with shower and hairdryer. Besides there are a wide TV room, dining-room equipped with ceiling fans and terraces with chairs and tables. 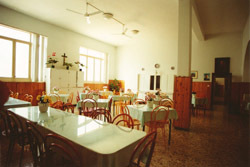 Daily cleaning of rooms - Return by night till 1.00 am -Telephone in every room - Central heating - Public telephone - Free car parking in the courtyard - Reception - Private chapel - Change of linen every 3 days - Stop bus at 20 mt. away- Train station and postal office at 500 mt. away. -Banks at 800 mt. away- Shops, bars and restaurants nearby - Beaches in sand and in stones ( by payment and free ) at 800 mt. away - Sorrento centre is 3 km far.